Treating your family to a pizza dinner doesn’t have to cost the equivalent of a trip to Italy. Australian supermarkets have great pizza deals. Instead of spending $25 dollars on a pizza in a restaurant, follow our tips below for a delicious and affordable experience. The so called Pizza Deals in Restaurants! 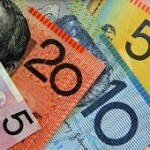 Did you know that the average pizza at an Australian restaurant costs $25? You could feed your entire family on that at the grocery store! Restaurants have higher prices for a few reasons. First, they have to order the food. They get prices a bit cheaper than you could at the grocery store, because of the amount they buy. Then, they have to pay their employees to make the food, serve the food, and pay the restaurant bills. To make a profit, a pizza that costs maybe $4.50 to make gets marked up to $25. It’s not dishonest though, it’s business. Restaurant owners need to make a living too. With your $25 pizza, drinks, and anything else you’ve run yourself a big bill. This can be too much for a meal for those on Centrelink or families just scraping by. But, pizza is delicious! You don’t have to go without it. Read our tips for the best Pizza deals in Oz below. What Pizza specials can you find at Woolworths? Woolworths easily have the biggest selection of pizzas in their frozen food aisle. In their frozen foods, you can choose from snack sized pizzas, panini’s, and the real thing. They have a large range of flavours like bbq meat lovers, Hawaiian, and four cheese just to name a few. Their house-brand frozen pizzas start at $2.95 a pie. How cheap is that? You could buy ten Woolworths pizzas for the price of one restaurant pie! If you’re looking for a more gourmet experience without the price tag, they offer brands like Dr. Oetker that make Italian inspired classic recipes. If you’re looking for a more family friendly dinner prep, Woolworths offers fresh pizza crust. Making your own pizza is a great family activity. Kids of any age love to be involved in the cooking process. Creating something makes everything taste better! At Woolworths, you can get a pizza base with sauce for $3.00. Then, all you need to do is pick up some parmesan and the toppings you’d like. To save even more money, choose vegetables from the “ugly” section to top your pizza. You can have a gourmet family friendly cooking experience for under $10! 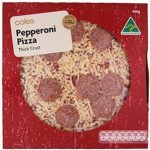 There are a whole range of great pizza deals at Coles, both frozen and fresh starting from only $3! Coles pizza deals are a little pricier than Woolworths, but not enough to go out of your way if you don’t have Woolworths near by. Their house-brand pizza runs around $3.00, only ½ dollar more than Wooly’s. Their frozen offerings look similar, though a bit pricier. They stock Dr. Oetker pizza’s also. Watch for specials on their frozen pizzas. As of this writing, they have a Dr.Oetker frozen pizza listed for $5 instead of $8.25 on special. Coles offers ready made pizzas too. They cost about the same as a frozen house-brand and are ready in 10 minutes. They’re great to pop in the oven for a quick dinner. The small increase in price at Coles is worth it if you have a Coles reward card. It’s possible to earn enough points to buy international flights! Did those prices sound good to you? Aldi is generally cheaper. The products they sell change frequently, so you’ll have to explore your local store to profit. They offer a selection of products (including a frozen pizza) that have won awards for their taste and quality. Who says store bought can’t be award winning? Dominos have great pick up and deliver Pizza deals! But you’ll need to pay attention to when they are. 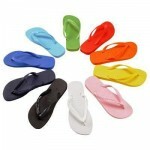 Right now (late July) they have a great three for $32 dollar special on delivery orders. Domino’s are always known for their freshness, and their selection is bigger than your local supermarkets. An average pizza without a discount will cost you $15. They offer bread, desserts, and drinks at an extra charge. In some locations, value range pizzas start from just $5 before 9 pm. Ask your location what specials they regularly participate in for clarification. As you can see, getting awesome pizza deals that tastes great doesn’t have to be expensive. To take advantage of the best prices, plan in advance and make your evening a family affair, gathered around the oven. Copyright © 2009-2019 · Discount Talk Australia All Rights Reserved.